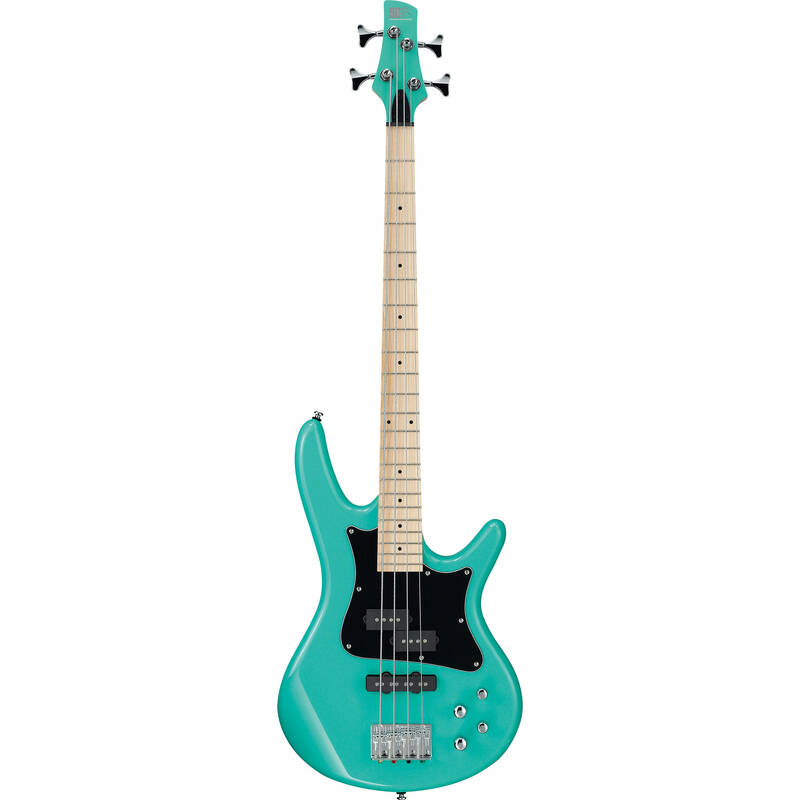 Styled in a aqua green finish, the Ibanez SR Mezzo Series SRMD200K is a modern electric bass featuring a poplar body and a maple neck. The instrument offers a 24-fret maple fingerboard with black dot inlays, and the solid double-cutaway body delivers maximum resonance and sustain. The instrument is outfitted with Dynamix pickups, with a P-style in the neck and a J-style in the bridge. A 2-band EQ provides boosts and cuts over the treble and bass frequencies. Volume and balance controls can be used to further regulate the sound. Additionally, the SRMD200 is fitted with chrome hardware and a B10 bridge. Box Dimensions (LxWxH) 47.1 x 18.4 x 3.1"